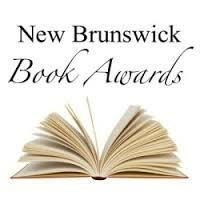 The New Brunswick Book Awards‚ launched earlier this year and administered by The Fiddlehead and the Writers’ Federation of New Brunswick‚ has announced it judges for 2017‚ as well as the addition of a new prize. The $500 Alice Kitts Memorial Award for Excellence in Children’s Writing will recognize a picture book by a New Brunswick author. This is the awards series’ fourth category‚ complementing the existing fiction‚ non-fiction‚ and poetry prizes. Bestselling children’s author and TV writer Helaine Becker will judge the children’s category‚ novelist and short-story writer Rabindranath Maharaj will judge fiction‚ IPPY Award–winning Edmonton author Myrl Coulter will judge non-fiction‚ and CBC Literary Award and Bronwen Wallace Memorial Award winner Jeramy Dodds will judge poetry.